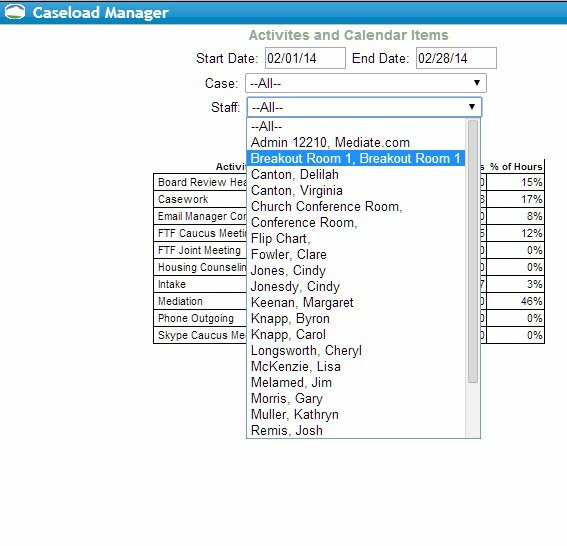 In the Activities and Calendar Items Report, you can filter the data by case name and staff. 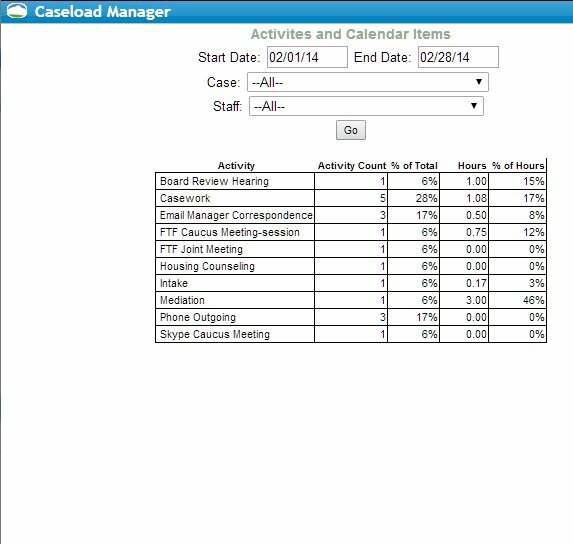 This will allow you to create a report of the amount of time your staff spends doing specific activities for each case, as well as see who is putting how much time into a case. 2) You will see a new window pop open with your report. 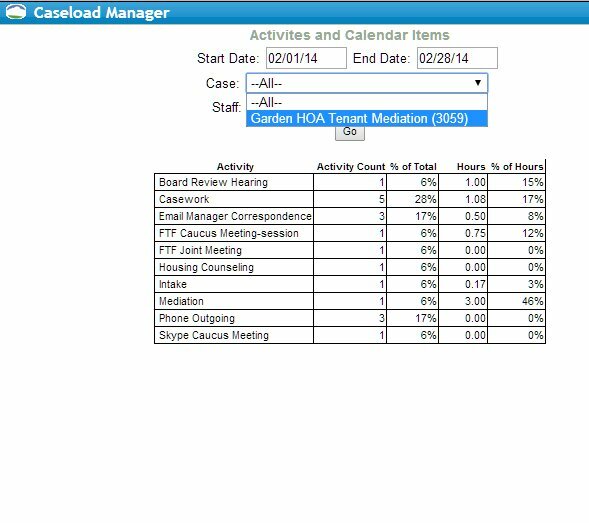 You can filter this report by date by entering the date range into the Start and End Date fields. 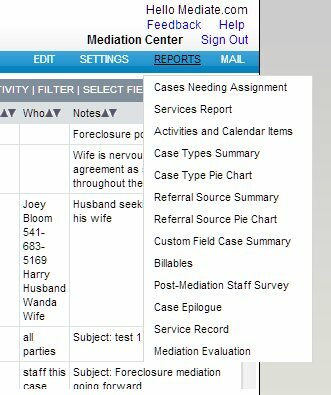 3) You can also filter for cases by selecting your case from the drop-down menu. 4) If you want to also filter by a person, you can click on their name in the Staff menu. 5) Click Go and print your report.